Synthetic Sport is a synthetic turf specialist, therefore will assist you with a professional, neat and fast supply and installation of the best quality turf on the market. When you start using Synthetic Sport as the turf of your choice, it will put you in a league of your own. Due to the popularity of Synthetic Sport, you will host more events as you will be the venue of choice by all parties, hence this will benefit you. 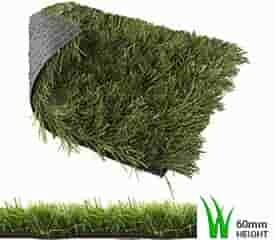 A well maintained pitch or garden would last in excess of 20 years therefore will be a cost effective option. The advancement in synthetic surfaces has allowed clients to incorporate synthetic surfaces in their homes, gardens, balconies, play areas, business areas, sport pitches and offices. Synthetic Sport can provide a variety of synthetic surface types from a neat short pile turf to long natural field turf. We have over 15 synthetic surface types to choose from, all with a eight year guarantee. 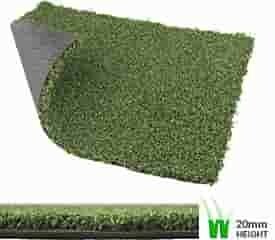 Our famous Synscape™ Synthetic Turf range carries an 8 year warranty. 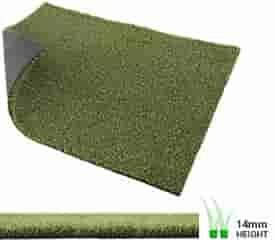 Double mesh backing and contains There is no lead in the grass thus environmental friendly. 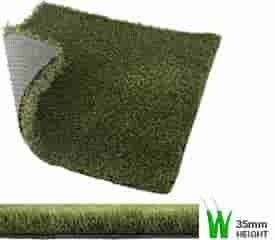 Double layer backing on our turf lends itself to a much more durable product. Our Synthetic Sport is all produced with C-Shaped Yarn. C-Shaped Synthetic Turf yields much more resistance to flatness and much less maintenance than the none c-shaped Synthetic Sport. Will our synthetic turf lose its color and fade in the sun? No, because the products are UV resistant and have undergone extensive testing to ensure that the color does not fade over time. For this reason, our product has a 8 year warranty. What is Synthetic Sport made out of? The yarn is made out of a very high quality polyethylene, whereas the backing is made out of polypropylene fibers and a high quality latex spray. The artificial pro put yarn is made from nylon. Is Synthetic Sport suitable for my pets? Yes, pets love playing and sleeping on the soft Synthetic Sport. You would pick up dog faeces as per usual and hose the area rinse the rest out once a week if needed. Ensure that under the turf is decent drainage. 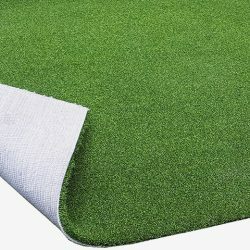 What type of under surface or base do I require for installations of the turf? There are two important factors to the under surface or base of Synthetic Sport. Firstly, the under base must be able to support the intended traffic of the area. Secondly the under base must supply sufficient drainage for the artificial thurf. The type of base works required will vary according to which product is used and what it is used for. The required base-works can vary from just compacted soil with sufficient drainage to full g5 sub-base with cement or asphalt bases. Please see the DIY instructions for a basic base design. There are drainage holes in the Synthetic Sport which allow for water drainage through the Synthetic Sport. It is important to ensure that the base has sufficient drainage. Is Synthetic Sport safe for my children? All our products are nontoxic, soft and safe for children to use and enjoy them self. Will it be possible to install it your-self? 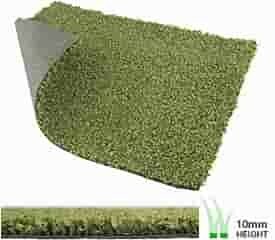 Yes, some installations are easy as rolling out a carpet whereas others require some cutting and joining. Please contact us for instructions thereof. If you require a professional to do the installation please contact us for assistance, our teams will be able to assist you with any project. 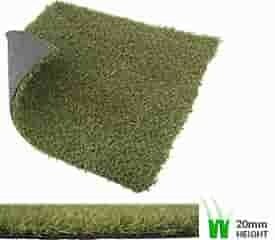 I have seen Synthetic Turf hockey pitches watered, hence do I need to water synthetic Turf if I put it in my garden? 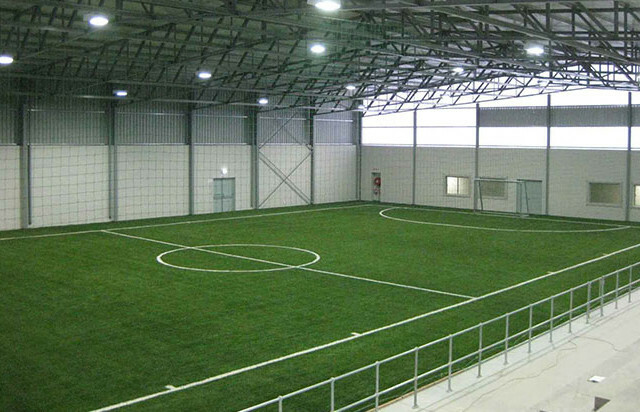 One of the systems for Synthetic Sport hockey pitches is known as the wet-system. This system requires water to be sprayed on to the field prior to play. This helps to speed the ball up and brings the sliding properties of the field to the correct level. However all the products used for residential installations are not wet systems and require absolutely no water. What sort of life span should I expect from my artificial (artificial) grass? 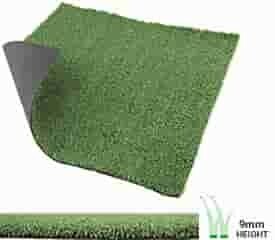 Does artificial grass come in different colors? 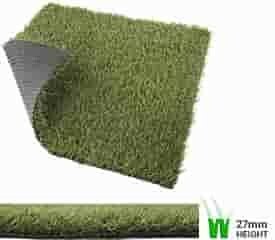 Unfortunately all the artificial grass comes in its set green color. Only the OVAL product has the option of two different greens. When you start using Synthetic Sport as the turf of your choice, it will put you in a league of your own. Due to the popularity of Synthetic Sport, you will host more events as you will be the venue of choice by all parties, hence this will benefit you. 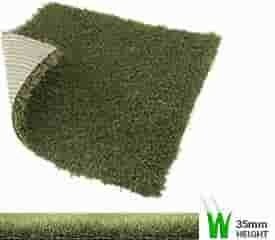 A well maintained pitch or garden would last in excess of 20 years therefore will be a cost effective option.